Is State Street Corp (STT) Going to Burn These Hedge Funds? Like everyone else, elite investors make mistakes. Some of their top consensus picks, such as Valeant and SunEdison, have not done well during the last 12 months due to various reasons. Nevertheless, the data show elite investors’ consensus picks have done well on average. The top 30 mid-cap stocks (market caps between $1 billion and $10 billion) among hedge funds delivered an average return of 18% during the last four quarters. S&P 500 Index returned only 7.6% during the same period and less than 49% of its constituents managed to beat this return. Because their consensus picks have done well, we pay attention to what elite funds and billionaire investors think before doing extensive research on a stock. In this article, we take a closer look at State Street Corp (NYSE:STT) from the perspective of those elite funds. State Street Corp (NYSE:STT) has seen a decrease in activity from the world’s largest hedge funds of late. 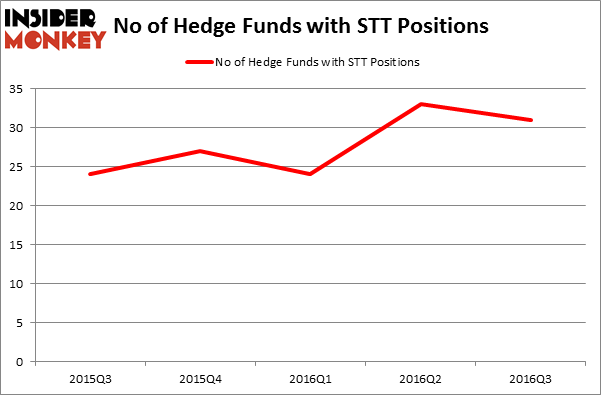 There were 33 hedge funds in our database with STT positions at the end of the previous quarter. The level and the change in hedge fund popularity aren’t the only variables you need to analyze to decipher hedge funds’ perspectives. A stock may witness a boost in popularity but it may still be less popular than similarly priced stocks. 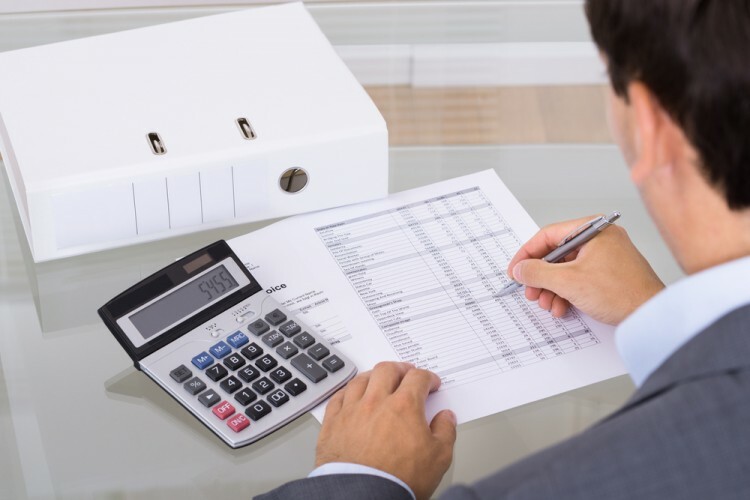 That’s why at the end of this article we will examine companies such as Vertex Pharmaceuticals Incorporated (NASDAQ:VRTX), Edwards Lifesciences Corp (NYSE:EW), and Synchrony Financial (NYSE:SYF) to gather more data points. How have hedgies been trading State Street Corp (NYSE:STT)? At the end of the third quarter, a total of 31 of the hedge funds tracked by Insider Monkey held long positions in this stock, a 6% drop from the previous quarter, though hedge fund positions remain well above their levels from quarters prior to Q2. With the smart money’s capital changing hands, there exists a few key hedge fund managers who were increasing their stakes significantly (or already accumulated large positions). According to publicly available hedge fund and institutional investor holdings data compiled by Insider Monkey, Pzena Investment Management, managed by Richard S. Pzena, holds the number one position in State Street Corp (NYSE:STT). Pzena Investment Management has a $206.3 million position in the stock, comprising 1.3% of its 13F portfolio. Sitting at the No. 2 spot is Yacktman Asset Management, managed by Donald Yacktman, which holds a $117.6 million position; 1% of its 13F portfolio is allocated to the company. Some other peers that are bullish include Mario Gabelli’s GAMCO Investors, Phill Gross and Robert Atchinson’s Adage Capital Management, and Israel Englander’s Millennium Management.